Getting crafty with ornaments has become one of my new favorite things about the holidays. And apparently I like my ornaments with a bit of bling. Last year it was all about glitter, and this year it's gold leaf. 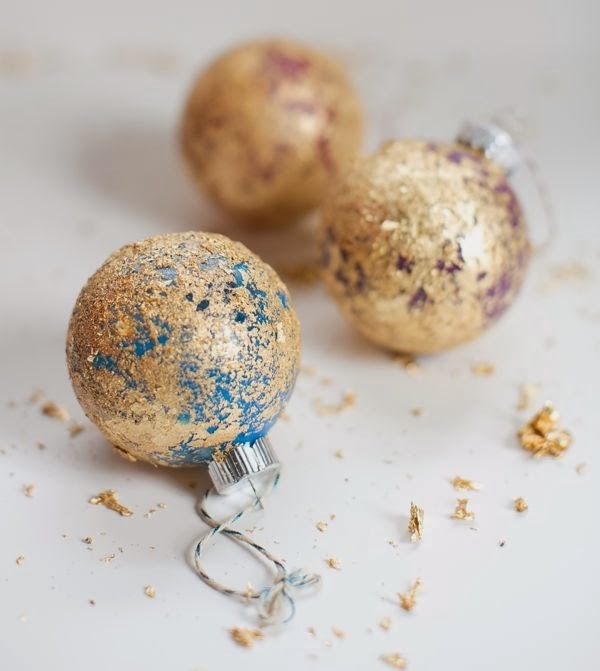 These gorgeous gold leafed ornaments are crazy simple to make, as long as you don't mind getting a tiny bit messy. 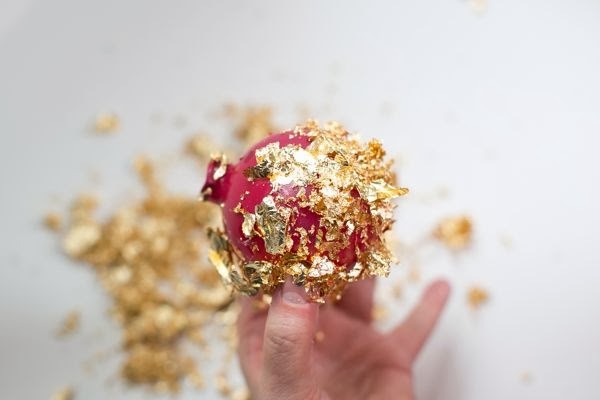 Gold leaf flakes do tend to fly everywhere, so make sure you have newspaper or other paper underneath to collect them. It makes cleaning up so much easier! 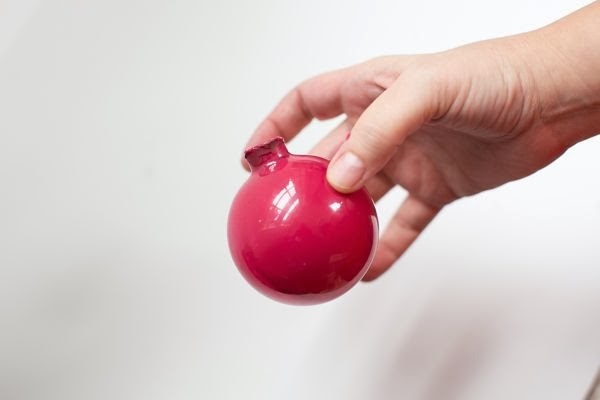 Remove the ornament cap and squeeze paint into the top opening. 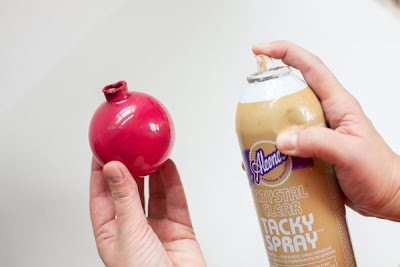 Shake and swirl until the entire inside is coated with paint. 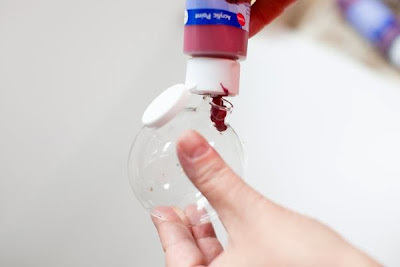 After the inside is covered, give it a day to allow the paint to fully dry. You can place the ornament upside down in an egg crate to let any excess paint drain out. Lightly spritz the outside of the ornament with tacky spray. 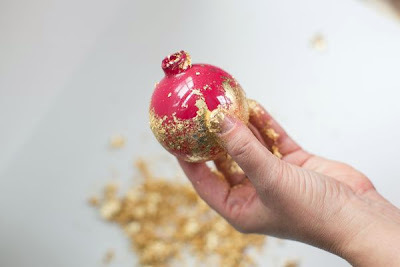 The more glue you apply, the more gold leaf will end up on the ornament, so don't coat it. 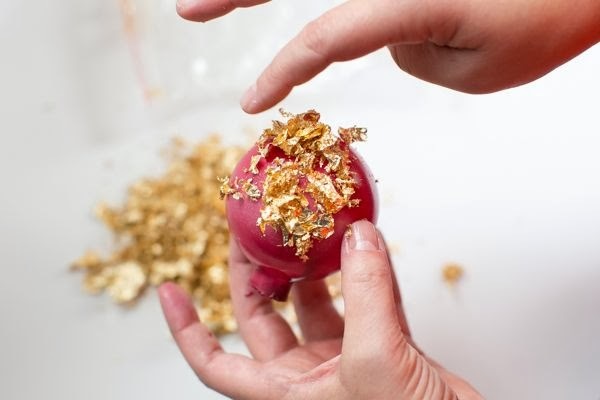 Apply the gold leaf flakes either with your hand or by just rolling it in the flakes. If you do use your hands, try to not get too much tacky spray on them or you'll become gold-leafed as well! Give the glue a couple of minutes to dry and then rub off the excess gold leaf with your hands. Keep rubbing until you're satisfied with the texture and amount of paint showing. This is an optional step. 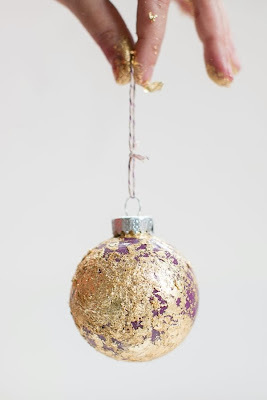 Apply a coat of mod podge to the ornament to seal the gold leaf. Once that is dry, all you need to do is put the ornament cap back on. 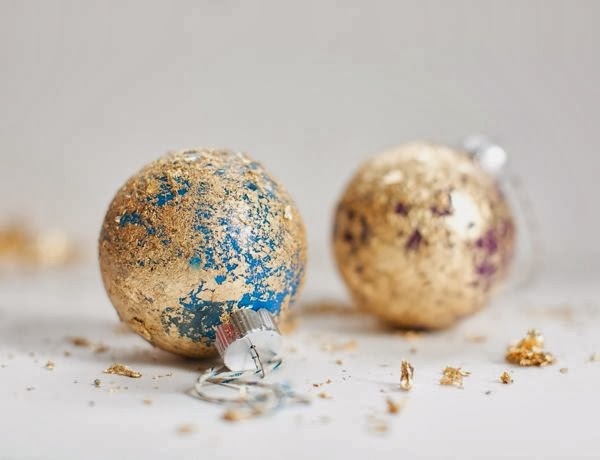 These ornaments are so festive, and they would make a great gift too! In this tutorial, you learned how to cover clear glass ornaments with gold flakes. 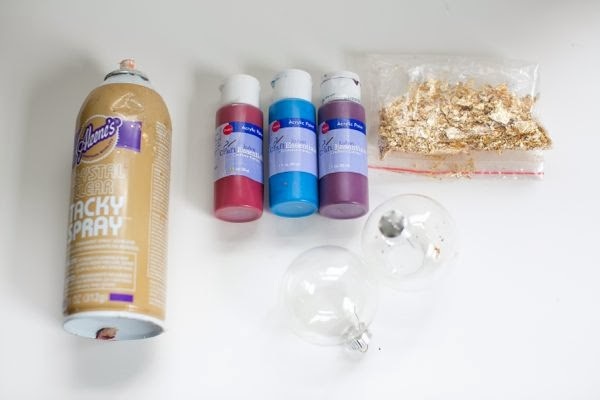 You can apply these skills to other Christmas crafts to give them a luxurious and decadent edge.